Perfect for gift giving and entertaining, the varieties in our elegant and unique gift box provide a range of flavours to please every palate. This cute little box features a convenient handle and gift tag. 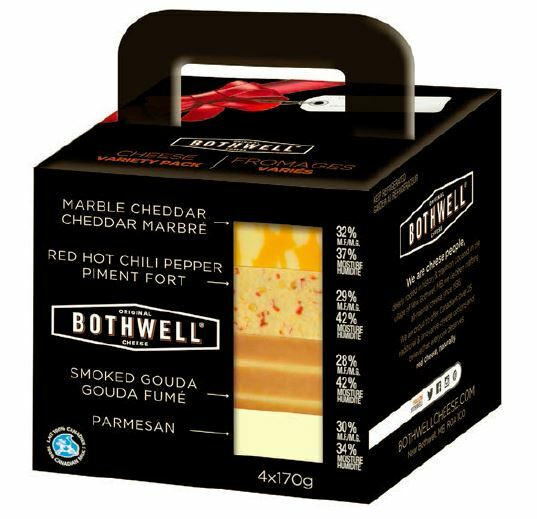 Varieties include: Marble Cheddar, Red Hot Chili Pepper Jack, Smoked Gouda and Parmesan. Available during the holidays at select retailers throughout Manitoba. Prices vary by retailer. *Follow links above for detailed product information including nutritional facts and ingredients.